To play the video in reverse, please follow the steps below. Drag and drop the video into video track. 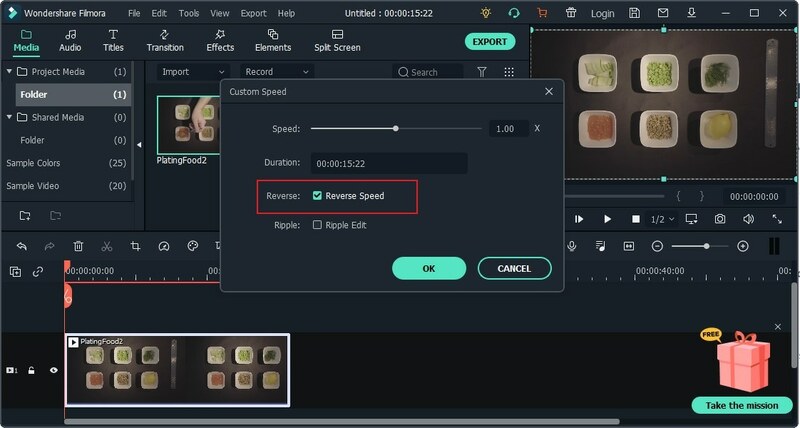 You can right click to choose Speed and Duration. Then tick the option of Reverse Speed at Custom Speed panel. Or you can also directly click Speed icon in the toolbar, and click Reverse.